WIN A STAY IN LAKE TAHOE! - 5 nights at Squaw Valley's Resort At Squaw Creek. 4 days of lifts and 5 nights at the classiest ski-in-ski-out resort in California! An $1800 value raffled here on January 19th! 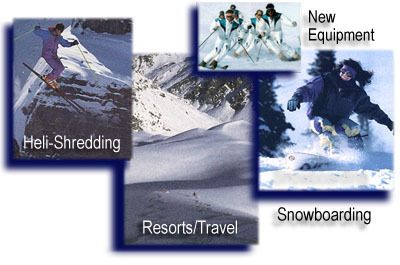 The contest for the ski vacation to the ALPS will be given away December 31st. Your chance to win is at the bottom of one of the Held Over Articles! Good Stuff from the last 12 months. Congratulations Susan Wong, winner our snowboard. Another contest gets under way in one of the Canada resorts December 31st!